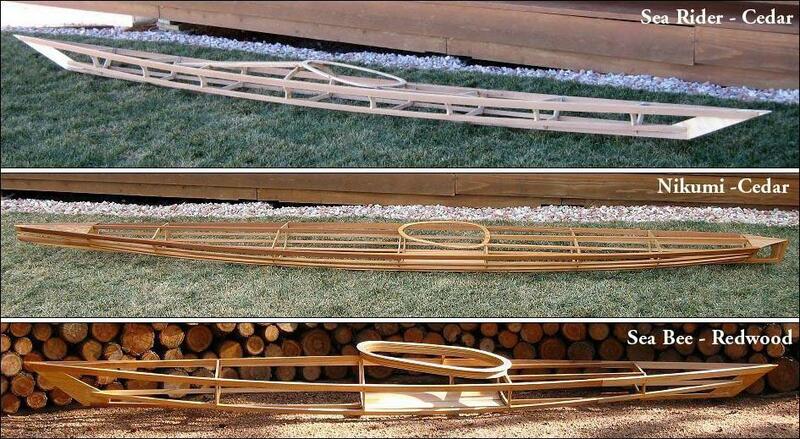 Stringers – The Sea Bee stringers are redwood, and the Nikumi and Sea Rider’s are Western Red Cedar (WRC) . Find clear boards( no knots) that are straight if possible, and with no twists or bends. 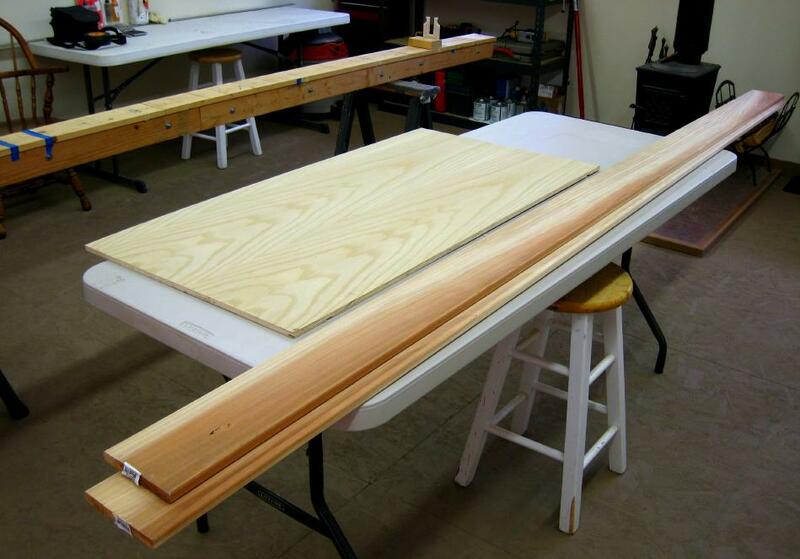 Full length stringers are recommended, but shorter boards can be scarfed or butted / plated. The floor can be the same wood as the stringer, with solid sections, or cut into narrow slats. Stringers can be varnished or oiled. Cross Sections – 1/2″ Marine or exterior grade plywood is recommended for cross sections, stem plates. and coamings ( 3/16″ – 1/4″lip). Plywood can also be used for the floor. Sealing all plywood with a coating of epoxy resin is recommended. Sea Rider, Nikumi, and Sea Bee frames.